Facial palsy associated with trauma may require urgent decompression. Facial palsy due to otitis media/mastoiditis may require urgent surgical treatment. Facial palsy associated with a parotid swelling may be a sign of parotid malignancy. A presentation of ipsilateral facial weakness where the forehead is spared should alert you to the possibility of a central cause (e.g. stroke) – see facial nerve palsy. The prognosis for facial nerve function in Ramsay Hunt syndrome is poorer than for Bell’s palsy. Although evidence is limited, early recognition and commencement of steroids and antiviral therapy within the first 72 hours will maximise the chance of good recovery (70% for timely treatment versus 50% if delayed). Although a patient with a definite Ramsay Hunt syndrome usually does not need inpatient treatment, if there is any doubt regarding the diagnosis then admission may be necessary (eg stroke, mastoiditis, head trauma) – see facial nerve palsy. Severe pain not controlled by oral analgesia or intractable nausea and vomiting would also be indications for admission. Note that sometimes a reactivation of latent varicella zoster virus (VZV) may indicate general immune compromise which may require onward referral. If you suspect there may be a contraindication to giving certain treatment (eg steroids in a very unwell patient). All cases with an otological cause (otitis media, mastoiditis, necrotising otitis externa) should be discussed urgently, as the patient may require urgent treatment. Traumatic facial palsy may require urgent exploration (but remember that serious intracranial injury must be excluded first). All cases secondary to a suspected necrotising otitis externa should be discussed with a senior during working hours. The patient may complain of facial weakness and droop. Asymmetry at rest or on movement may be apparent. An inability to close the eye may lead to keratoconjunctivitis sicca. An erythematous vesicular rash is most commonly seen within the ipsilateral concha (herpes zoster oticus), anterior two-thirds of the tongue or hard palate. Deep facial pain often radiating to the ear and sometimes associated with lacrimation, nasal congestion and salivation may occur. Tinnitus, hearing loss, vertigo and nystagmus may be present, as well as nausea and vomiting. The facial nerve has extracranial connections with the greater auricular, auriculotemporal, trigeminal, vagus and glossopharyngeal nerves. This explains the ear, mastoid, face, mouth and throat pain associated with VZV infection. The vesicular rash can therefore occur in all of these areas but is typically seen in the ear or mouth as described above. Careful neurological examination is required to determine if there are other cranial nerve palsies which may suggest either VZV infection causing a polyneuropathy or a central cause, eg skull base tumour. MRI and neurological opinion would be required in the latter case. Remember to examine the eye to establish occlusion. If the eye does not close fully, the patient should be prescribed eye protection and an ophthalmology opinion should be sought. 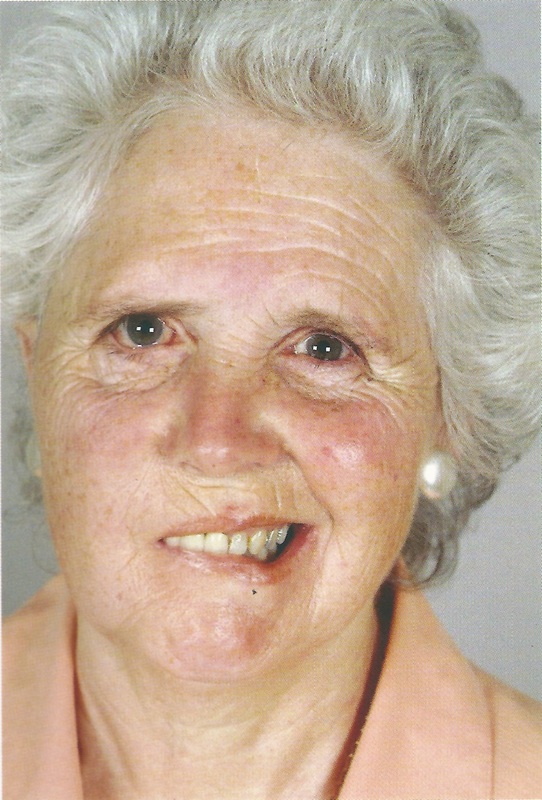 Photo - Right lower motor neurone facial palsy. Note the loss of the forehead and brow furrows as well as the nasolabial fold on the right. Similarly, the right depressor angulae oris is weak. Grade IV: Marked asymmetry on movement, eye closure compromised. Grade V: Asymmetry at rest, eye closure compromised. Grade VI: No facial movement. It is helpful to remember that incomplete eye closure implies Grade IV or more. Follow-up audiogram and tympanogram should be arranged for those complaining of tinnitus or hearing loss. Polymerase chain reaction to detect VZV in ear exudate or blood is not routinely performed but can be done in select cases where the diagnosis is in doubt. If the patient is admitted due to pain or nausea and vomiting, then routine bloods would be appropriate. IV aciclovir, steroids and gastroprotection can be given if the patient requires admission and cannot tolerate these treatments orally. Adequate analgesia, particularly for severe pain. The eye must be protected if the patient cannot close it fully. Artificial tears (e.g. Viscotears) should be used at least QDS, and Lacrilube/VitaPos ointment at night. The eye should be taped closed at night (patches are less appropriate as they prevent clinicians seeing the eye, and tend to hold the lids open or bury the lashes). Such patients should be reviewed by an ophthalmologist. Arrange acute/emergency ENT clinic follow-up in 2 weeks with audiogram and tympanogram if appropriate. Risk factors for poorer recovery are older age at onset and more severe facial nerve palsy at initial presentation, with the prognosis being generally worse than for Bell’s palsy. Maximum recovery may take up to 12 months. In persistent facial palsy, the eye can be protected by implanted gold/platinum weights in the eyelid or tarsorraphy. Facial reanimation by static techniques, or dynamic free muscle transfer and cross-over nerve grafting can also be performed. Sun WL, Yan JL, Chen LL. Ramsay Hunt syndrome with unilateral polyneuropathy involving cranial nerves V, VII, VIII, and XII in a diabetic patient. Quintessence Int. 2011Nov-Dec;42(10):873-7. Kim YH, Chang MY, Jung HH et al. Prognosis of Ramsay Hunt syndrome presenting as cranial polyneuropathy. Laryngoscope 2010 Nov;120(11):2270-6. Sweeney CJ, Gilden DH. Ramsay Hunt syndrome. J Neurol Neurosurg Psychiatry. 2001 Aug;71(2):149-54.